I went along to a Winter Solstice celebration in Greenwich Park last week (22nd) arranged by the Tribe of Avalon. They very kindly asked me along to sing a song I have written, 'On Snow Hill', which refers to that hill in the Park. In his book, 'Goddesses, Guardians and Groves: the Awakening Spirit of the Land' (Capall Bann, 1996), Jack Gale associates Snow Hill with a Winter Goddess, a Snow Queen linked to the Saxon deity Holda. What is undeniable is that there are Saxon burial mounds on the hill, and nearby a filled in, but still noticeable well. It felt special singing the song at the well (the well gets mentioned in the song too), one of a number of site-specific singing sessions I've done this year. These have included singing 'Georgie' (a poachers ballad set in Shooters Hill) in Oxleas Wood at the top of Shooters Hill at the start of the South East London Folklore Society walk there in the summer, and singing with Juleigh 'The Only Living Boy in New Cross' as part of the Telegraph Hill Festival at Page Two in Nunhead. Next year I am planning to get the music project off the ground on a more regular basis with 'Winterland' (watch here for details). Greenwich Park felt like a fitting place for the turning of the year, as this year a lot of threads of my life seem to have run through it. Back in April, there was Tom McCarthy and Rob Dickinson's excellent Greenwich Degree Zero exhibition at the Beaconsfield gallery in Vauxhall, based around an alternative history perspective on Martial Bourdin's death in Greenwich Park in an 1894 bomb explosion. I gave a talk at the exibition, 'Stargate SE8: time, space and parklife' which combined my local history and Association of Autonomous Astronauts interests. Jem Finer, Pogue and sound artist, was also on the bill and through meeting him we both ended up taking part in Brendan Walker's wonderful Fairground Thrill Laboratory at the Science Museum in the Autumn, an event that combined space-themed talks and music with a go on the Booster fairground ride. 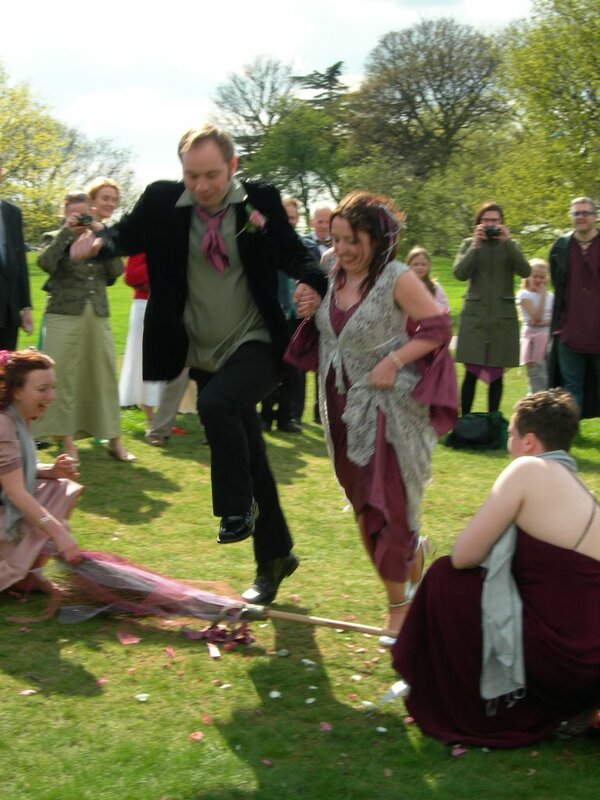 Then of course there was the unforgettable wedding of fellow Transpontinians Scott and Clare in Greenwich Park, an event which showed that it was possible to have a ceremony in keeping with your beliefs without frightening the horses or the relatives. 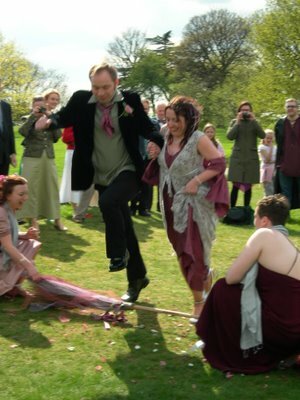 Jacqui from Tribe of Avalon conducted the wedding, Jack Gale talked briefly about the history and spirits of the Park, Scott & Clare led the leaping over the broomstick. ... in which case I am sure we must have met at some point, or at least have been in the same room. It's worth tracking down Jack Gale's book, he is incredibly knowledgeable about the history of Greenwich Park as well as a spinner of contemporary folklore.